The California State Senate is about to vote on a very dangerous bill relating to end-of-life care, SB 481. Right to Life strongly opposes it, and we want our supporters to understand its dangers before it heads to the State Assembly. SB 481 has a provision relating to patients who (1) are deemed medically incompetent by their doctor, hospital, or health care provider, and (2) do not have anyone to make healthcare decisions on their behalf (spouse, next of kin, etc.). It effectively gives their healthcare provider the ability to classify the patient as incompetent, and then to withdraw healthcare “treatment,” including nutrition and hydration. Its only “safeguard” is the requirement that the incompetent patient be presented with oral and written notification of what the hospital is doing. One immediately wonders what purpose a note serves for a patient who has already been deemed incompetent. Nutrition and hydration are not extraordinary forms of treatment, and should only be withheld in rare cases where patients are incapable of absorbing nutrients. 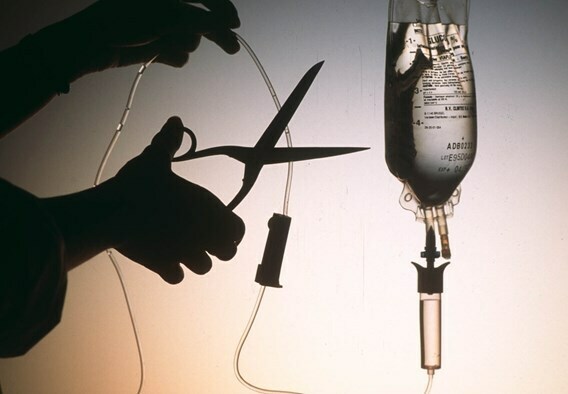 Giving healthcare providers (who often have interests adverse to the patient, such as cost) carte blanche to withdraw this care from a patient is extremely dangerous, and will lead to euthanasia by omission. There is no outside intervention or oversight for these decisions by the healthcare providers. Right to Life strongly opposes this bill, and urges you to spread the word about this dangerous legislation.